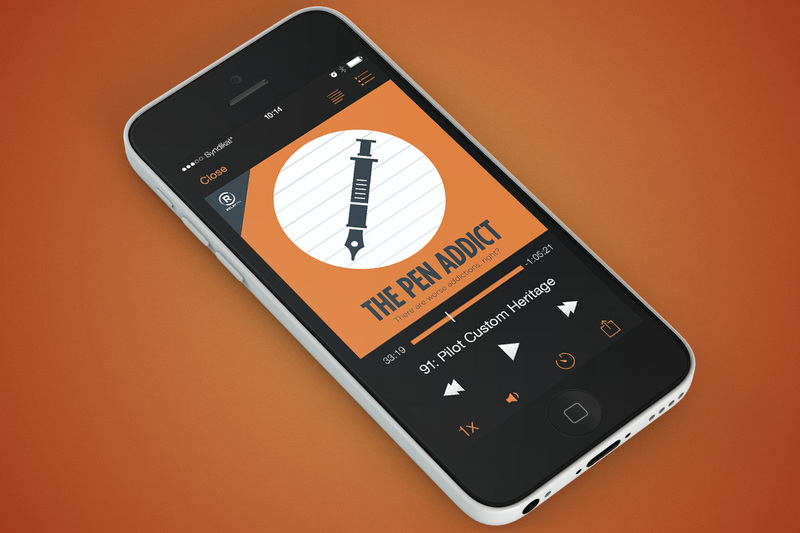 The Pen Addict is a podcast about all things ink on the Relay FM network. 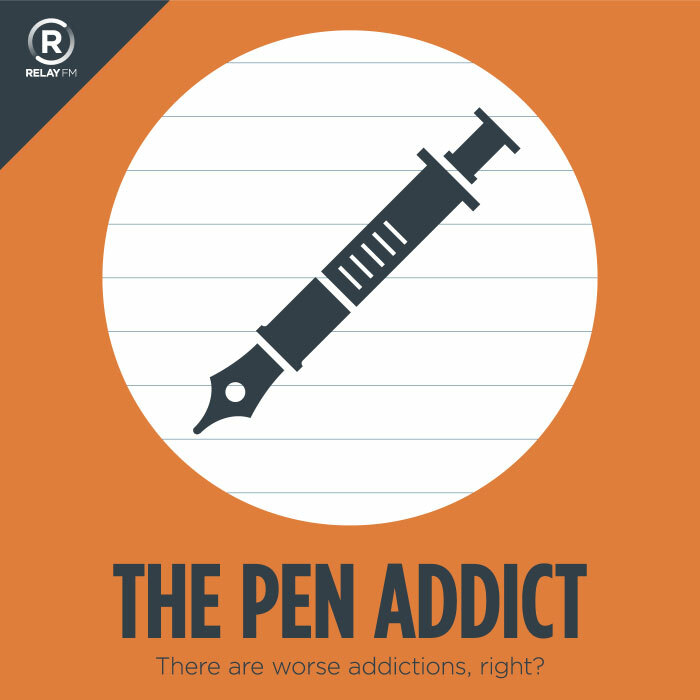 The fusion of a fountain pen and a syringe embody the oft-misunderstood condition of Penaholism, a revenue-sapping affliction from which sufferers know but one escape: group therapy by listening to the Pen Addict podcast. The Pen Addict‘s show art was built on the grid system created for the Relay FM brand.